Windows 7 last month dug in its heels, and retained control over a majority of all Windows PCs, an analytics company reported this week. The standard enterprise operating system, Windows 7 will be shuffled onto the retired-from-support list in two and a half years, on Jan. 14, 2020. May's Windows 7 user share -- an estimate of the percentage of the world's personal computers powered by the 2009 operating system -- was 49.5 per cent, said metrics vendor Net Applications. However, Windows 7 ran 54 per cent of all Windows machines: The difference between the user share of all PCs and only those running Windows stemmed from Windows powering 91.6 per cent of the globe's personal computers, not 100 per cent. More importantly, Windows 7's share has barely moved in the last 12 months, dropping less than one percentage point in that time. 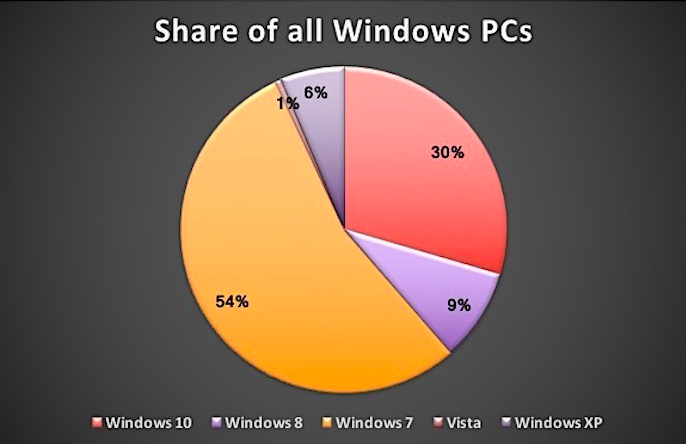 As a portion of Windows personal computers only, Windows 7 has been just as obstinate: Its share has stayed near 54 per cent. To whit: May's share of all Windows PCs was the highest since July 2016. 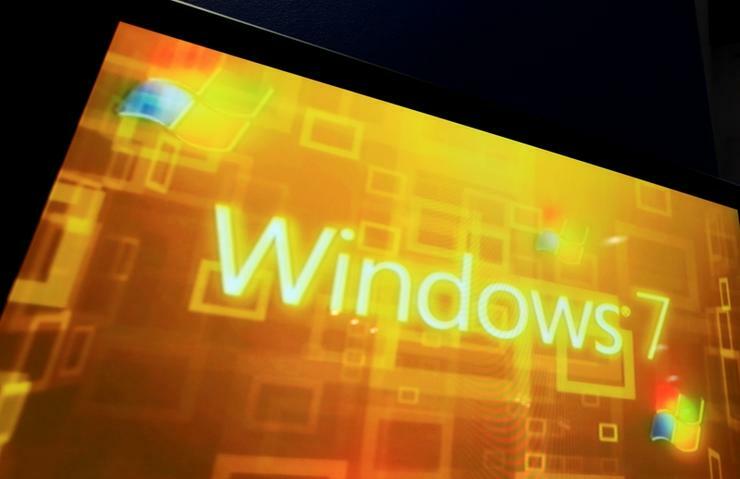 The lack of a decline in Windows 7's user share over such a long stretch may signal trouble ahead as customers try to beat the end-of-support deadline. Windows 7's current status, in fact, is comparable to that of Windows XP 31 months before its April 2014 retirement. At the time, Windows XP powered 54.6 per cent of all Windows PCs, nearly the same as Windows 7 did in May. That's significant because as XP's support deadline approached, many businesses busted budgets to purge Windows XP systems from their networks. They bought new PCs, brought in outside help to tackle the migration, disrupted existing IT plans and schedules, and purchased costly custom support plans in last-minute efforts to keep their machines secure. Even so, massive numbers of Windows XP -- left vulnerable because Microsoft halted patch delivery when support expired -- continued to run in enterprises. According to surveys by Gartner in 2014, nearly 25 per cent of the PCs in organisations -- private enterprises, government agencies and the like -- were still running XP when Microsoft pulled the patch plug. Net Applications pegged Windows XP's user share at 29 per cent of all Windows PCs in April 2014. Three years ago, Gartner urged companies to start planning their migrations from Windows 7. "While  feels like it's a long way off, organisations must start planning now so they can prevent a recurrence of what happened with Windows XP," said analysts Michael Silver and Stephen Kleynhans in a 2014 report. Contrary to more recent commentary from Gartner, which asserted that enterprises are further in their Windows 10 migration planning than they were the last cycle -- Windows XP to Windows 7 -- Net Applications' data shows little evidence of early transitions. Meanwhile, Windows 10 accounted for 29.2 per cent of all Windows PCs in May, up from the month prior, while Windows 8/8.1 and the long-outdated Windows XP both lost share, falling to 9.1 per cent and 6.2 per cent, respectively.